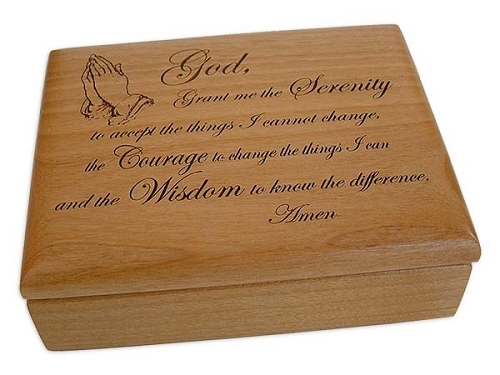 > Serenity Prayer God Box for Clark C.
This beautifully laser engraved alder wood God Box is just the right size! 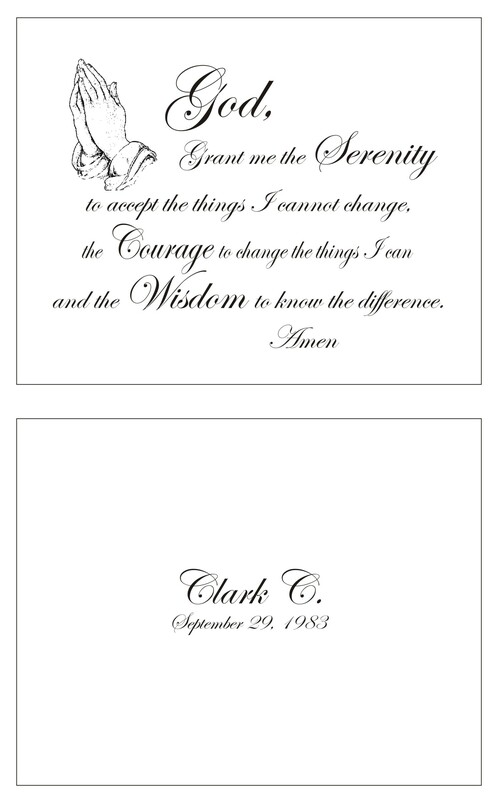 It features our beloved Serenity Prayer on the top side of the hinged lid and your personalization on the inside of the top lid. The inside bottom surface is felt lined. To give you an idea of the inside dimensions - it perfectly holds a deck of cards! 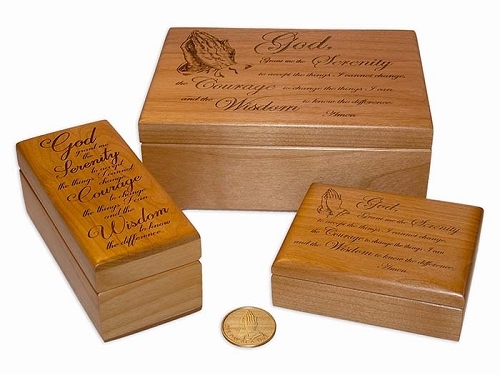 Please note: These are laser engraved wooden God boxes. Text and graphic contrast are subject to the natural characteristics of each individual piece of wood. Yours will be a one-of-a-kind - unlike anyone else's in the world! We do not utilize color fill techniques, or printing methods to increase the darkness/contrast of the engraving - opting instead to allow the beauty of each piece of wood to bring into being a special and unique piece of art for you to treasure for years and years. 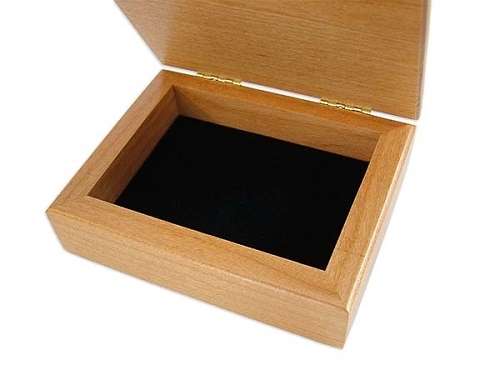 If you would like something special engraved on your God Box, simply Contact Us! All of the laser engraving is done here in our shop. So, special projects can be accommodated and quickly delivered!